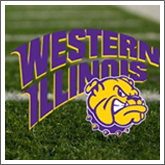 Description: Join us when the WIU Leathernecks take on the University of Illinois Fighting Illini at Memorial Stadium. Our pregame social will start three hours prior to kick-off. Our pregame social will be under a tent within walking distance of Memorial Stadium.